We specialize in Life Insurance Approval with Bronchiectasis! Having trouble finding affordable life insurance with Bronchiectasis? Can I Qualify for Life Insurance if I have Bronchiectasis? Yes, most individuals with Bronchiectasis will be able to qualify for traditional life insurance, the type of insurance which requires a medical exam. Best Case Scenario – Mild Bronchiectasis with controlled or no symptoms of recurrent cough and upper respiratory infections may be qualified as the best case scenario. These cases may qualify for a “Mild Substandard” rating. Click here for quote at “Mild Substandard”. Moderate Case – Those cases with more frequent symptoms of persistent cough and occasionally manifests symptoms of blood tinged sputum may qualify for a “Medium Substandard” health class. Click here for a quote at “Medium Substandard”. Severe Case – A severe case of Bronchiectasis would be those that have chronic and severe flare symptoms of persistent cough, blood tinged sputum, and accompanied by fever, weight loss and muscle aches and pains. The best approval you may obtain is at a “Severe Substandard” rating or in worst cases that show complications of cor pulmonale or right ventricular heart failure you may get a decline. Click here for a quote at “Severe Substandard”. 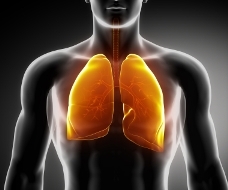 How many years have you been diagnosed with Bronchiectasis? Bronchiectasis is a non-irreversible condition, but the symptoms and complications can be controlled with early treatment and management. Longevity of the condition, however, increases the probability of complications. The earlier the management of symptoms like recurrent cough then chances of control is good, the best rating you may get in such case is at “Mild Substandard” health class. Flare symptoms of fever, bloody sputum and wheezing breath sounds are not good signs. It may get you a “Medium Substandard” or “Severe Substandard” rating. If these symptoms are more frequent, then you may have to undergo a more thorough medical evaluation before an appropriate rating can be given. Medications for Bronchiectasis are palliative, meaning they are given as the symptoms appear only. If you have medications more often than the usual, this may be viewed as a moderate case. The best rating you may get is at “Medium Substandard” rating. Do you have regular check-ups with your pulmonologist? Regular visit to your pulmonologist will assure the insurance company of your compliance, and if your symptom of persistent cough is controlled, the best rating you can get is at “Mild Substandard” health class. Recent chest radiography or CT-scan is the best way to assess your actual health condition. This will also help confirm your compliance with your physician’s management. If you have other conditions such as diabetes, COPD or right ventricular heart failure, you may need a re-evaluation from a medical examiner to determine the most appropriate rating. In worst cases, you may get a “Severe Substandard” or a decline. Bronchiectasis is a disease characterized by abnormal, localized or widespread, irreversible and permanent dilation/dilatation of the bronchi. The dilation is the result of the destruction of the elastic tissues and muscles of the bronchial tree. 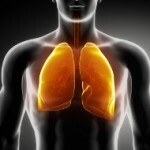 Bronchiectasis is a type of obstructive lung disease that may either be localized or widespread. The bronchi of the lungs in Bronchiectasis become inflamed, dilated, and easily collapsible, which causes clearance of secretions impaired and, therefore, airway obstructed. Signs and symptoms of Bronchiectasis include recurrent and persistent cough, excessive sputum, and frequent upper respiratory infections. In moderate cases, spitting of blood, generalized fatigue, muscle aches and pains and weight loss may be observed. For severe and widespread cases, difficulty of breathing, wheezing breath sounds, fever and bloody sputum are observed.